Madison-based online restaurant ordering platform EatStreet has just raised $6 million in Series B funding. The funding will help the company to increase its staff, as well as help EatStreet to reach its goal of expanding to more than 15,000 restaurants in 150 cities by the end of the year.Â In addition to its Web and mobile ordering platform, EatStreet builds custom websites, mobile apps, and Facebook ordering features for restaurants. Founded in 2010 byÂ UW graduatesÂ Matt Howard,Â Alex Wyler and Eric Martell, EatStreet’s services initially started in Madison, but have now expanded to include 75 cities across the country. In the last three months alone, EatStreet has signed up 3,000 new eateries, and now services approximately 5,500 restaurants. More details on this story can be foundÂ here and here. The 2014 Startup Weekend Madison event is a wrap! Congratulations to all teams and thank you to everyone who participated. We hope you enjoyed the weekend and learned a ton. Check out some great pictures from the event here, and the full team list here (with project details). 1) Memory Bank â€“ Give someone the gift of Love, capture a memory they can cherish for a lifetime. We enable you to record memories for your loved ones, which they can cherish when youâ€™re away. All your memories are stored on cloud and preserved for eternity. 2) Konga â€“ This web application will advertise open tables for restaurants on a map, using green dots to show openings and red dots to show restaurants with wait times. For the user, the application is opened and the party size is entered, a map is then populated to show where that party could be seated right away. For the restaurant, a host or a hostess can update which party sizes they can immediately accommodate. 3) Mitinerary â€“ Group travel collaboration website. Bringing discussion, planning, and booking to one location for multiple travel parties to coordinate. Flux MopedsÂ will be officially launching their product, the 100% electric EM1 moped on April 4. The Flux EM1 is a fully electric vehicle that can reach up to 30 mph and drive up to 25 miles on a single charge. 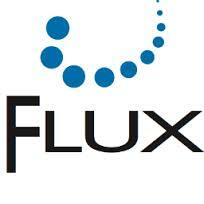 Flux Mopeds’ Grand Opening and Open House will take place at their dealership,Â located at 710 Williamson St, Madison, WI, 53703, onÂ April 4 from 3-6pm. Â The event will kick off with a ribbon cutting ceremony atÂ 3pm, and an Open House continuing throughout the weekend. You can RSVP to attend the Grand Opening event here.